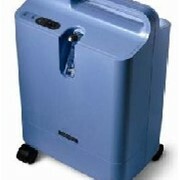 VisionAire is the lightest and quietest oxygen concentrator on today's market. At just 30 lbs. 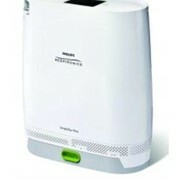 (13.6 kg), this lightweight, 5 LPM, compact oxygen machine is the most economical and power-efficient choice for in-home oxygen. With attractive, contemporary styling, a primary feature of this home concentrator is its near-silent operation. VisionAire appeals to the most sound-sensitive patients and their significant others who value their quiet time at home. 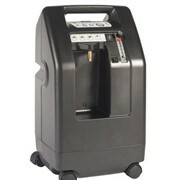 This 5 LPM, continuous flow, compact oxygen concentrator is even lightweight enough to bring along for travel. 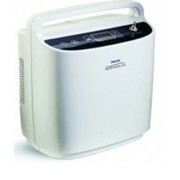 Oxygen patients enjoy the quiet, lightweight, and power-efficient features of this economical oxygen concentrator. 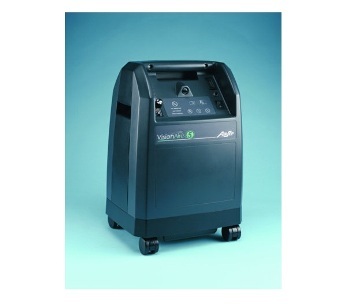 VisionAire is available through authorised, local oxygen equipment providers.